Environmental portrait of a man who was volunteering his time to share history of the St. Peter’s Catholic Church, in Harper’s Ferry, West Virginia. 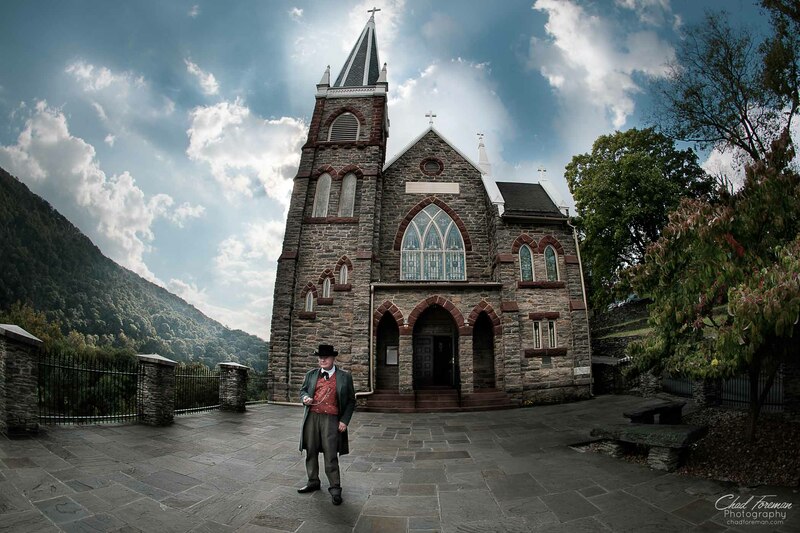 The original church, built with a pseudo-Gothic architecture style in 1833, was the only church in Harpers Ferry to survive the destruction of the Civil War. In 1896 the church was remodeled in Neo-Gothic architecture. (Wikipedia) Harpers Ferry sits at the confluence of the Potomac and Shenandoah Rivers, the point where West Virginia, Virginia, and Maryland meet. 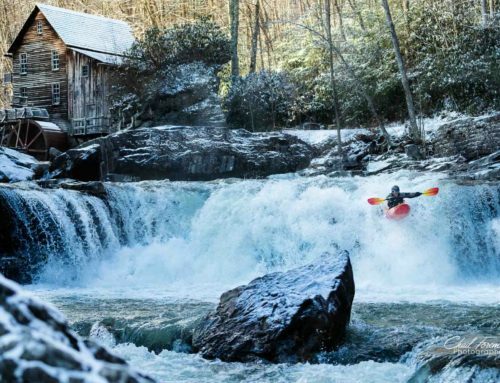 There’s a lot of history in this town and if you are nearby, it’s worth a visit. I went to Harpers Ferry to shoot a wedding and I’m glad I had the chance to check it out. This picture is shot with a 15mm Canon Fisheye lens. It is made from 6 different exposures with the same aperture (f 5.6) and various shutter speeds, which are then blended together in Photoshop with brushes on layer masks. This style of digital photography allows the artist to add his or her own “hand” to a picture. Shot with a 15mm fisheye lens to add perspective to a unique location.